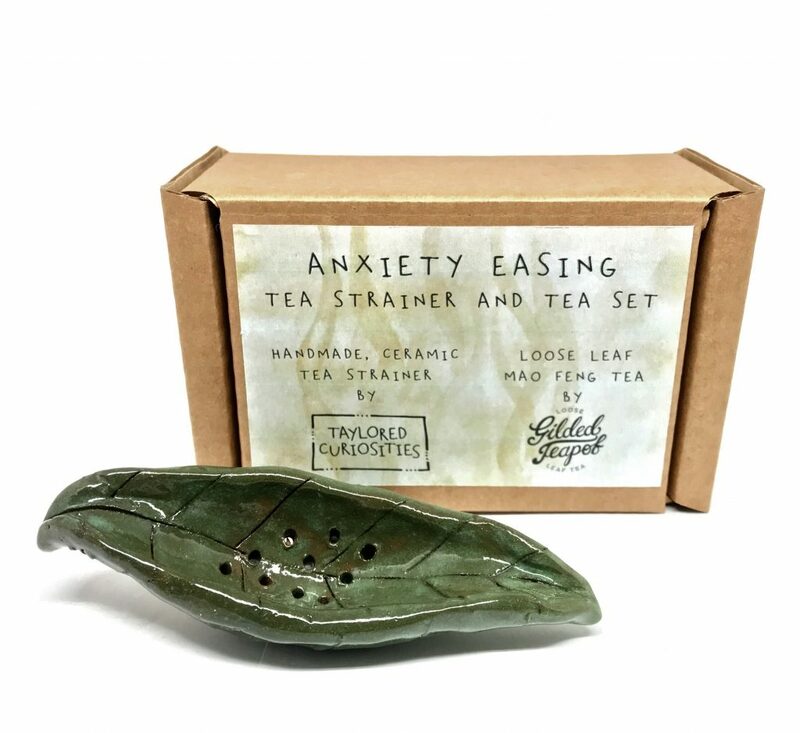 If anyone in your life has a taste for green tea or struggles with anxiety then this is the perfect gift set for them. 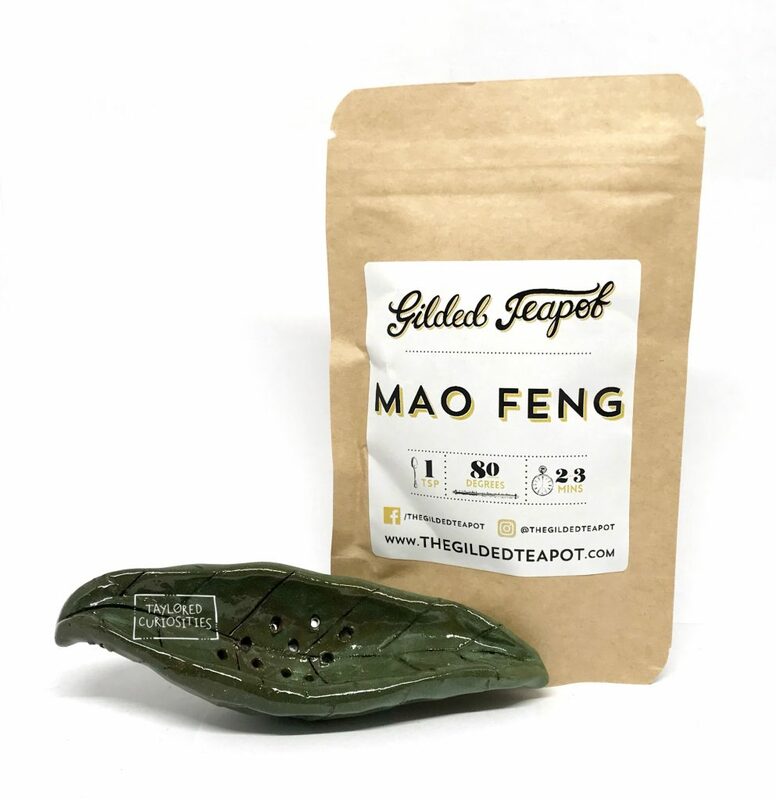 Packaged in a recycled box (think green thoughts) and with some shredded recycled paper, is a handmade, ceramic leaf tea strainer and a 10g bag of Mao Feng, loose leaf tea. The tea has been provided by a wonderful shop called The Gilded Teapot and I have made each tea strainer myself. 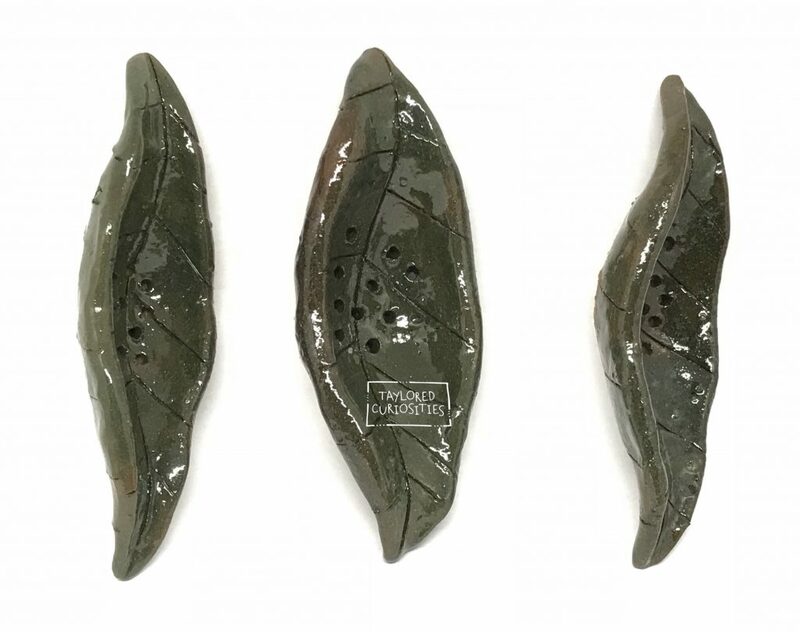 Due to the organic shapes and the handmade nature, the tea strainers will vary and this means that each one is truly unique. Green Tea is full of antioxidants and has been proven to aid with anxiety and stress. 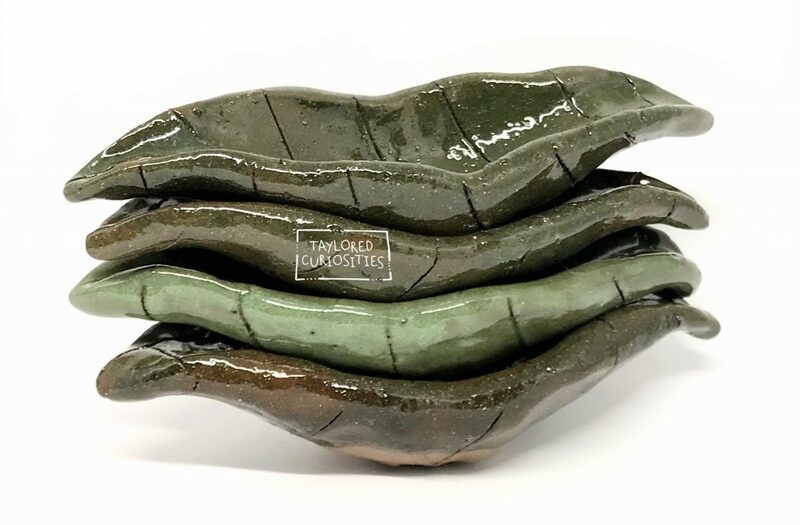 This is a mild green tea with a subtle taste and a calming appeal. 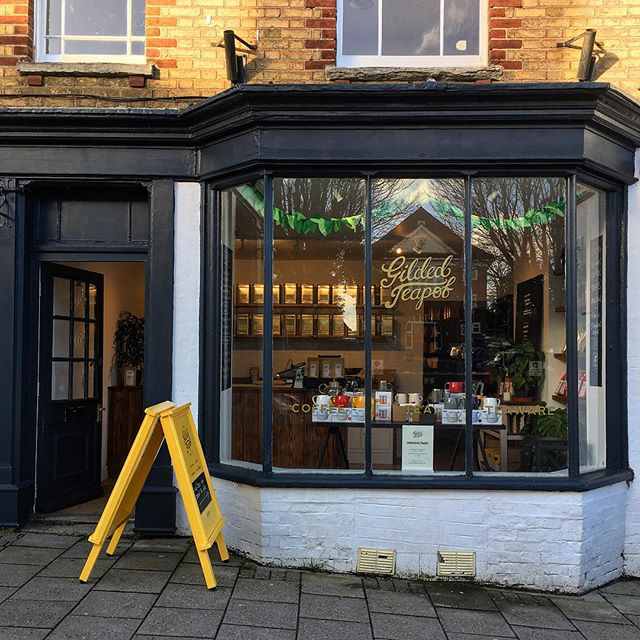 I first discovered the Gilded Teapot about 5 years ago when a secret Santa, who knew I had a penchant for green tea, came across their Dorchester shop and asked them to recommend a green blend. They suggested Mao Feng and a bag was purchased. I’ve been loyally drinking this specific tea from the Gilded Teapot ever since (and the secret Santa turned out to me my missing puzzle piece). Dilemma struck when, 18 months ago, I relocated from Dorset to Hampshire for work. I couldn’t drive two hours to their Dorchester shop every time I ran out of tea. Luckily for me they were happy to take phone orders and post the precious leaves. Then their online shop popped up making it even easier to get my little hands on. 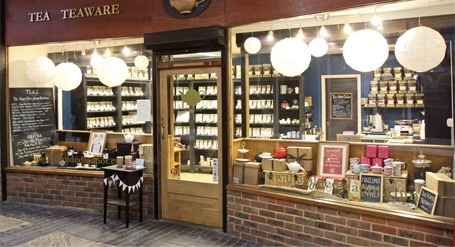 And recently, much to my excitement, they opened a second shop in Lymington; which is much closer to my new home. I have genuinely found that this blend of green tea calms my anxiety. It takes the edge off and I really notice the difference if I go a few days without drinking a cup. I’ve tried plenty of other types of green tea and it’s this specific one that has made the difference to me. 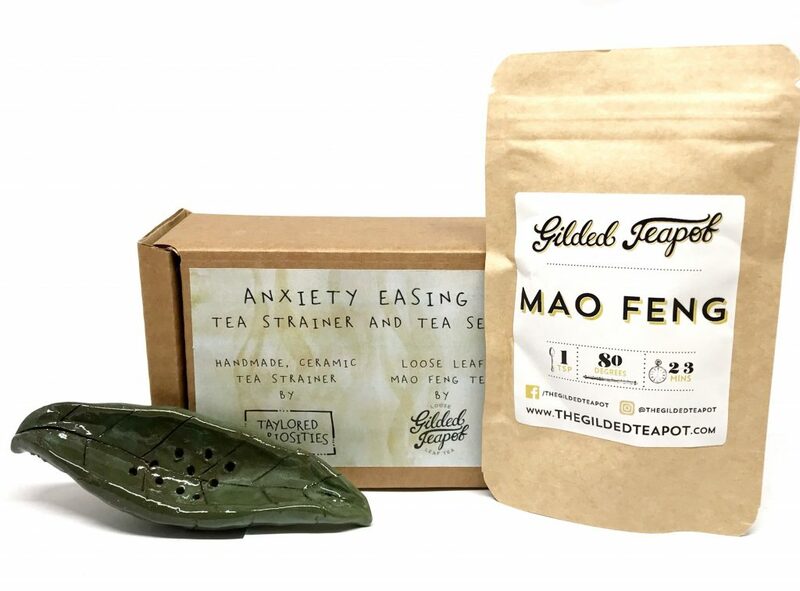 That’s why it’s the tea of choice for this exciting collaboration, combing the Mao Feng blend and my handmade, ceramic leaf tea strainer to create the perfect gift set for any tea lover in your life.